We serve throughout the Northern Virginia area. Free Initial Consultation! When you are looking for reputable family law attorneys in Fairfax, VA you can need not look any further than Mehnaz Khan Law, PLLC. We have been practicing family law for decades and we are ready to provide our extensive knowledge to anyone in Fairfax. Are you considering divorce? Need help with child custody? Or having a bankruptcy issue? We are ready to take your hand and guide you through the way. We, at Mehnaz Khan Law, PLLC, understand that legal issues can be complex, stressful and emotionally draining on the entire family. Without a competent legal counsel, these can be even more painful to deal with. With our extensive experience we can help our clients go through these tough times with the guidance they need. We aggressively fight for our clients’ cause and make sure they get the results which are most favorable to them. We believe in gaining our clients’ trust by keeping them informed of the progress at every single stage and involving them in all aspects of the case. No legal issue is big or small for us. We make sure we handle every matter in the most effective way possible. Clients’ satisfaction is our utmost priority. Whether you are going through an emotionally draining divorce or fighting a custody battle, or you are dealing with a financial crisis, or you are trying to get an immigration status for you or your family, we can help. Ms. Khan’s legal expertise in the areas of family law, bankruptcy and immigration will help you go through this time with ease. For all your Family Law needs, including, divorce, separation, child custody, child support, alimony/spousal support, pre-nuptial agreements, etc. If you are going through a financial crisis in life and don’t know what to do, our attorney can help you decide whether filing for Bankruptcy is a right choice for you. 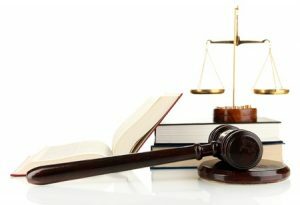 We serve clients throughout the Northern Virginia area in the State and Federal Courts, including, Arlington County, City of fairfax, Fairfax County , Loudoun County, Manassas Park, Prince William County and surroundings. Our areas of practice involve Family Law, Bankruptcy and Immigration Law. Divorce and family conflict are emotional, challenging, and stressful. The way that you transition through your divorce and the other family law issues has a great impact on the nature of your life in the years to come. At Mehnaz Khan Law, PLLC we become your confidants in the stressful divorce journey. We help you manage the divorce journey by helping you make informed decisions, resolve issues, and move on with your normal life. We have the best divorce lawyers in Fairfax Virginia who have been in the industry for years. We understand that the last thing you want when going through divorce is additional stress. Our divorce attorneys in Fairfax VA will with you to make the process straightforward and as easy as possible. One of the major concerns in any divorce process is the future of the children. Luckily, our child custody attorneys in Fairfax understand that you want as much parenting time with your children as possible. Part of our job as family lawyers Fairfax is to help you reach a meaningful custody and visitation arrangement with your partner. To achieve it we consider work and school schedules, traveling distance, parental income, and stability. We also understand your concerns about receiving too little or paying too much child support. Our expert child custody lawyer is Fairfax will work with you to ensure that you get a good deal. Have you lost much of your property through divorce and you are struggling to keep the little that is left? Or you have simply made some bad financial decisions? It doesn’t matter. 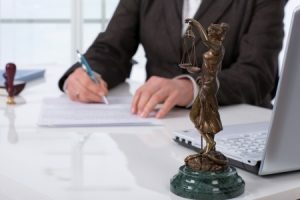 If you can no longer handle your financial problems by yourself, our bankruptcy lawyers in Fairfax Virginia are there to ensure that the law protects you. Whether its chapter 7, chapter 13, debt settlement, debt negotiation, or foreclosure defense, our lawyers have the necessary knowledge and skills to make the financial problems a thing of the past. Unlike other legal firms that treat you like any other client, we treat you like family. When you decide to work with us, a lawyer is assigned to your case from the beginning to the end. This not only ensures fast progress of the case, it also ensures that you get the best service. Are you going through a family law issue? Call or message us today to schedule a consultation. We will hold your hand from the moment you step into our office to the day the legal issue is resolved, and even beyond. Disclaimer: Mehnaz Khan, Esq. works for a debt relief agency. We help clients file bankruptcy relief under the Bankruptcy Code. Although most of the information contained in this website is legal in nature, nothing herein shall be construed as a legal advice or establishment of an attorney client relationship.